SHARON, PA- PHN Charitable Foundation (PHNCF) is proud to announce participating local businesses for their 2019 Education Improvement Tax Credit program (EITC). 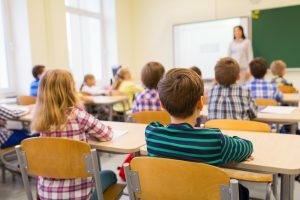 Each year, Pennsylvania provides tax credits for corporate contributions to Scholarship Organizations that provide private school scholarships, or Educational Improvement Organizations (EIO) – nonprofits that support innovative programs in public schools. PHNCF’s EITC program provides tuition to eligible students to attend a private pre-kindergarten, kindergarten, elementary or secondary school in the commonwealth of Pennsylvania. The term “tuition” also includes school-related fees charged by a school, including a special education school. As a participant in the EITC program, PHNCF accepts donations to further assist disadvantaged and low or moderate-income families pay for school expenses and further education. Other 2019 organizations that have donated to PHN Charitable Foundation’s EITC program include, Laurel Business Institute, Laurel Technical Institute and UPMC Health Plan. Overall, PHNCF has given out $107,000 since 2016 through the EITC program and plans to distribute another $24,000 this year to qualifying students in Pre-k and K-12. Businesses interested in contributing to the PHN Charitable Foundation via the Pennsylvania EITC should contact Cheryl Goldstone, Director of Programs at: 724-981-2875. For more information on PHNCF’s programs, please visit phnfoundation.net.